As soon as 25-year-old Jin Xiang landed a job at a Chinese steel factory in Thailand’s eastern Chonburi Province, he knew he would be part of the growing factor in propelling the Belt and Road Initiative and Thailand’s Eastern Economic Corridor (EEC). Southeast Asia’s fortunes have risen tremendously since the Asian Financial Crisis – you only have to look at the gleaming malls and airports that have sprouted in Hanoi, Jakarta and Manila, or the increasingly modern manufacturing sites of Kuala Lumpur, to get a sense of the economic buzz that permeates the region. Southeast Asia is fast becoming one of the hubs of the Fourth Industrial Revolution. Over the past five years, the region has established itself as a leader in implementing the latest technologies such as blockchain, artificial intelligence (AI), robotics, cloud computing and fintech among others. The Thailand Convention and Exhibition Bureau (TCEB) has brought its exhibition venue standards to the regional level after Asean tourism ministries reached a deal on the criteria at a recent meeting in Vietnam. The opening ceremony of the 38th ASEAN Tourism Forum (ATF) was held on Wednesday in Vietnam’s northern Quang Ninh province, with delegates slated for discussing measures to make ASEAN a quality tourism destination in the world by 2025. The Department of Tourism (DOT) has expressed intent to share its Boracay rehabilitation experience and strategies to members of the Association of Southeast Asian Nations (ASEAN). 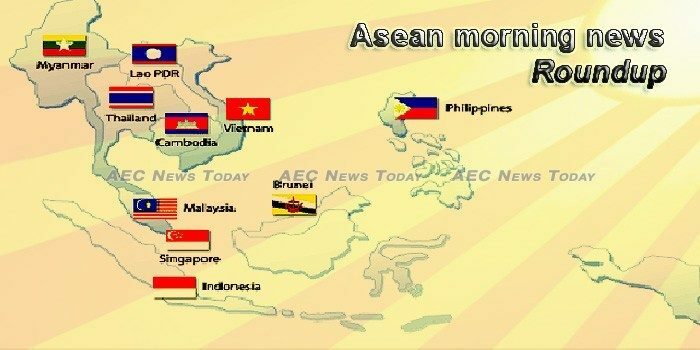 Asean can be vicious, as relations with the European Union demonstrate. The Intergovernmental Organisation for International Carriage by Rail and the United Nations Economic & Social Commission for Asia & the Pacific have signed a five-year memorandum of understanding to co-operate to develop rail transport in Asia, particularly southeast Asia where most states are not signatories to the COTIF uniform legal framework or its OSJD counterpart. THE ASEAN Foundation, with the support from the ASEAN Secretariat and United States (US) government through the US Agency for International Development (USAID), called for applications for the 5th ASEAN Science and Technology Fellowship programme. China will provide Cambodia with 4 billion yuan (U.S. $587.6 million) in aid over the next three years, Cambodia’s Prime Minister Hun Sen said Tuesday, as Phnom Penh further cements ties with Beijing in the face of sanctions threats from the European Union. The ruling Cambodian People’s Party (CPP), once known for its business-friendly laissez faire approach, has recently lurched decisively towards more economic populism but the costly policies are beginning to erode confidence in the long-ruling party’s economic management and direction. Malaysia is to have the fastest Internet access speed with the 5G platform in Southeast Asia via the Enhanced Malaysia International Internet Gateway (EM-IIG) High-Speed Broadband that is expected to be ready in 2022. Malaysia will be the first Asian country, outside China, to initiate the Alibaba Netpreneur Training Programme from March 23 to April 3, 2019, which will complement the ongoing Electronic World Trade Platform (eWTP) initiatives in Malaysia. ADOPTING Senate President Pro Tempore Ralph Recto’s amendment, senators agreed to set aside P68 billion in the proposed 2019 national budget to bankroll unfunded laws set for enactment, including Universal Health Care, Bangsamoro, rice tariffication and the Coconut Modernization Law. Senators in the Philippines on Tuesday joined activists and child protection groups in condemning a lower house move to reduce the age of criminal liability from 15 to nine, calling it extreme and unjust. The US Department of Homeland Security has banned issuing visas for new Filipino workers seeking agricultural and non-agricultural jobs in the country for a year. One man was arrested and the travel plans of hundreds of others thrown into disarray after a mid-air brawl on board a Scoot airways flight from Australia to Singapore yesterday, January 21. Thailand’s total domestic car sales are likely to fall 3.8 percent to 1 million units this year after a 19 percent jump in 2018, Toyota Motor Corp’s Thai unit said on Tuesday. Seven areas in Bangkok and neighboring province of Samut Sakhon have been declared red zones after the amount of PM2.5 dust particles in these spots start exceeding 90 microns. A former Australian soccer player urged the sport’s governing bodies on Tuesday to push for the release of a Bahraini refugee athlete detained in Thailand while it weighs his extradition.